Visual art moves us, but what physical phenomena make it possible to communicate this emotion in the first place? How is light generated? How does it interact with the pigments to generate color? How do hue, saturation, and brightness of color emerge from the physical properties of light? Why is mixing pigments different from mixing lights? We will explore the physics of color and its use in the visual arts through hands-on activities and demonstrations to gain an understanding of light as an electromagnetic wave, the interaction of light and matter by quantum-mechanical processes, the relation between physical principles and the fundamentals of color theory, and its application in painting, color film, etc. 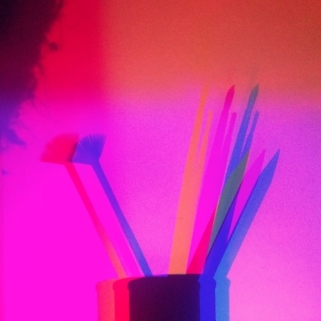 Participants will get a chance to play with colored LED sticks, colored filters, and hand-held spectrometers to gain a first-hand experience of the principles of color mixing, and understanding of the physics behind various types of illuminants, and an overview of how these principles govern a variety of artistic media.